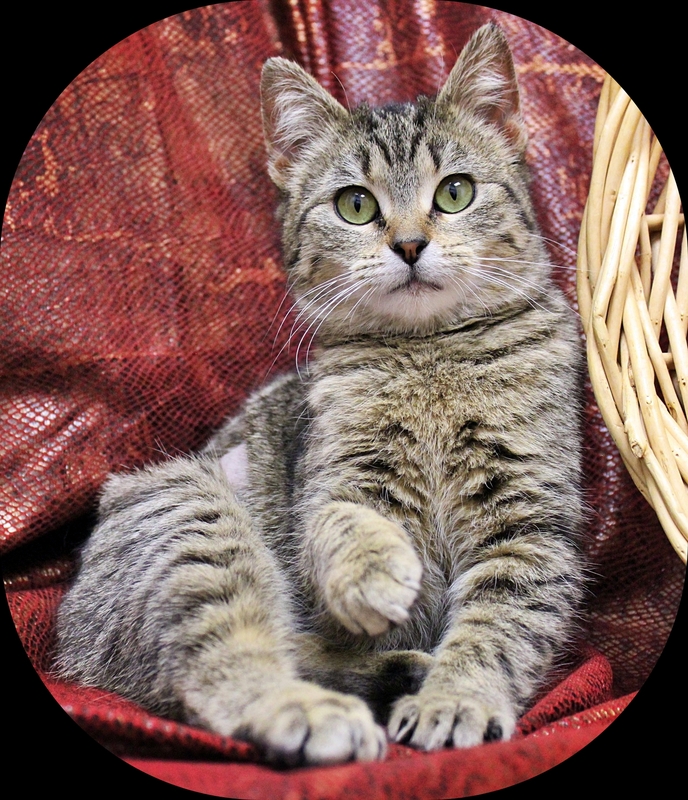 Margo is super sweet, very playful, loves to be held and snuggled, and purrs all the time! 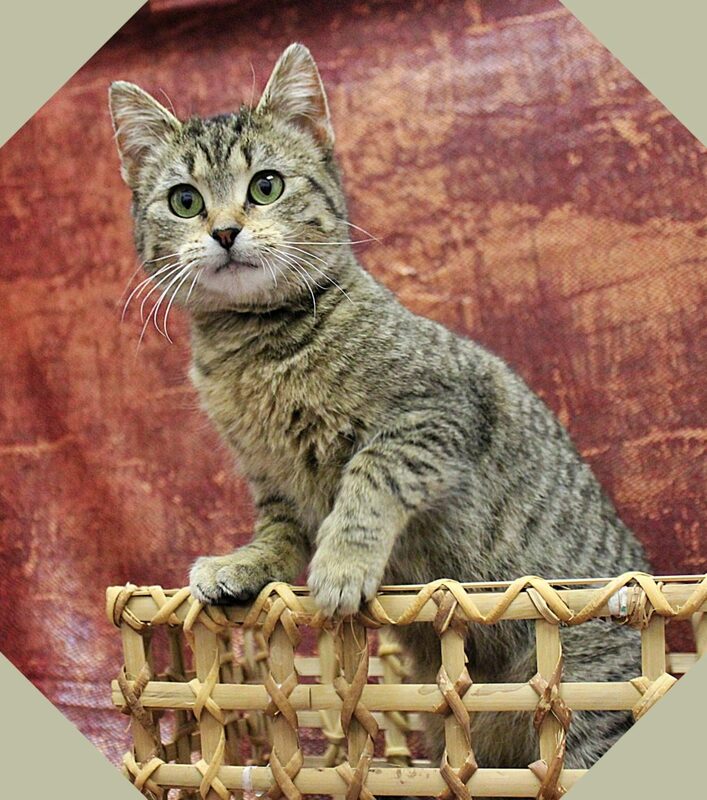 3/7/19 Margo update from foster mom: Margo rules the roost, she came into my house and showed the other six cats who was boss. When I clean the litterbox, she likes to “help”, it’s like she has supersonic hearing and the second I take the first scoop, she’s right there overseeing my efforts. When the boys are playing their video games, you can usually find her laying right next to them wanting to be petted or sleeping, when I’m cooking dinner, she’s under my feet supervising me. She’s great with other kitties, as long as they are ok with her being boss. She’s also good with my two small dogs. She may be small, but she’s mighty and has a personality to match!!!!! If you’re looking for a cat with sass, Margo’s your gal. 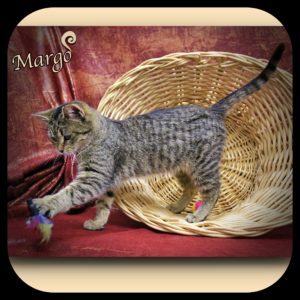 Margo’s adoption fee is $100 which includes spay surgery, being up to date on vaccinations, and a microchip with lifetime registration. If you’d love to take this cutie home or want more information, please complete an application HERE or email adoptions@adopthope.org.